Take a trip to Sicily in the 60s! 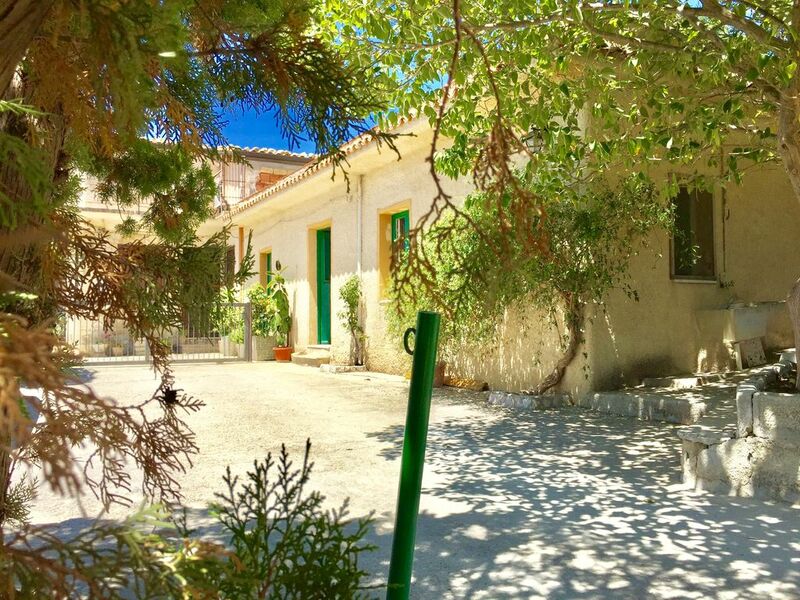 Country Home San Giuseppe is the ideal accommodation for those who prefer the countryside to the city: surrounded by nature you can enjoy the 'wide panoramic view and bask in the sun of Sicily listening to the cicadas and the sound of the wind. The entire accommodation is available to guests. There are two bedrooms, a living room and an equipped kitchen. During the summer season it is also possible to take a shower outdoors. A beautiful gazebo on the square in front allows you to have lunch while enjoying the wonderful panorama of the village, the lake, the sea and the mountains. The entire house is available to guests, including the panoramic terrace, the garden with olive trees and prickly pears, the outside square. The house is located about 4 km from the village, on a hill in the open countryside. Sunny and windy place where you can enjoy the panoramic view and the scents of Sicily. The archaeological excavations of Monte Adranone are only 5 km away, the sandy beaches of Porto Palo di Menfi 20 km, the archaeological park of Selinunte 35 km. To reach Agrigento, Trapani, Palermo it is enough about an hour by car.